Queens Village, on the eastern edge of Queens, is a suburban, relatively affordable middle-class neighborhood of both single- family houses and structures that are home to several families, all on small lots. The houses are mostly in the colonial style and well-kept. There are a small number of apartment buildings and co-ops. And yes, it lives up to its name: It has a small town aura in the midst of a huge metropolitan area. And for a bonus, it has a Long Island Rail Road station, and this is a huge draw. The neighborhood is diverse and attracts young families and immigrants mainly from the Caribbean, the Philippines, India, and Latin America. Developed in the 1920s and '30s, the suburban homes of Queens Village attracted those living in more dense areas of New York City, and the trend continues to this day. Queens Village is a residential neighborhood that's safe and quiet. Although the homes and yards of the neighborhood are well-maintained, the commercial strip along Jamaica Avenue doesn't look quite as spiffy, and shopping options locally are quite limited. Queens Village is bordered by Hillside and Braddock avenues to the north where it meets Bellerose and Hollis Hills. To the east is Bellerose along Gettysburg and 225th streets, and then Nassau County and Belmont Park. To the south is Cambria Heights along Murdock Avenue. To the west is Francis Lewis Boulevard and the neighborhoods of Holliswood, Hollis and St. Albans. The western edge of the neighborhood is also known as Bellaire. 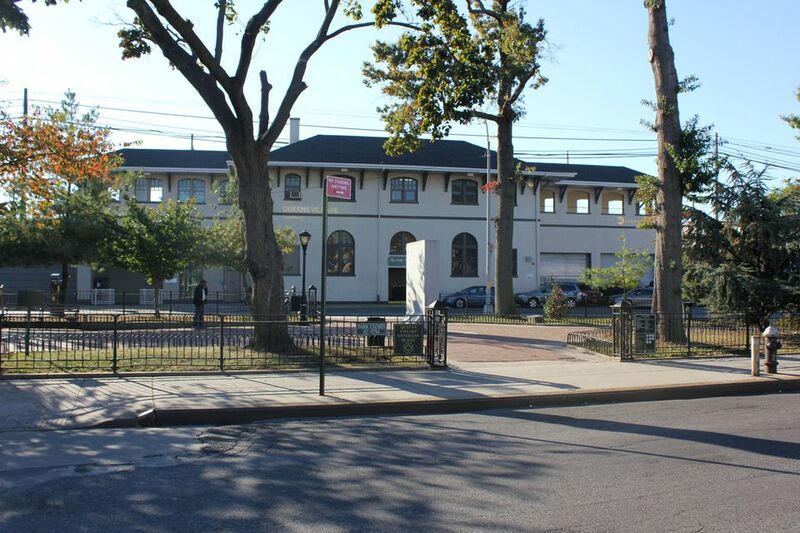 The Long Island Rail Road station at Queens Village is a key attraction to living in the neighborhood. It sits at the center of the commercial area at Jamaica Avenue and Springfield Boulevard. The commuter train runs to Penn Station in Manhattan and downtown Brooklyn in about 30 minutes. The neighborhood is also convenient to the Cross Island Parkway and Grand Central Parkway for those who'd rather drive. There are no subway stops in Queens Village. Queens Village has had four names. In colonial days, the area was known as Little Plains, part of a much larger treeless plain. In the early 1800s, there was a hamlet in the area called Brushville. Then in the mid-1800s, the name changed to Queens, named after the county (not yet a borough). As development grew after becoming part of New York City in the late 1800s, the name got changed again to Queens Village. Lloyd Neck, a village in Suffolk County, farther east on Long Island, was known in the 1800s as Queens Village. The village had then been part of Queens County. The restaurant scene in Queens Village is dominated by chains like Dunkin' Donuts, Papa John's, Subway and Burger King. But you can get some good local eats at Cara Mia (Italian), Rajdhani Indian Restaurant, St Best Jerk Spot, Ha Bo Kitchen (Chinese) and Windies Restaurant and Bar (Guyanese).